We'll it's been a long while since we posted on our Blog & there's been a lot going on with plenty of water under the bridge. We're been work hard on new plans which have fnally come to fruition, this means that's we're now working as part of a team of 3 fuel boats. 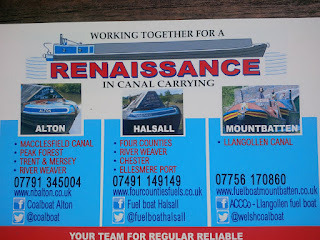 On the Llangollen Canal we are working with Hannah & Jon on Fuel Boat Mountbatten, whilst on the Four Counties we've established a new joint venture working with Martin Catterall & Fuel Boat Halsall. 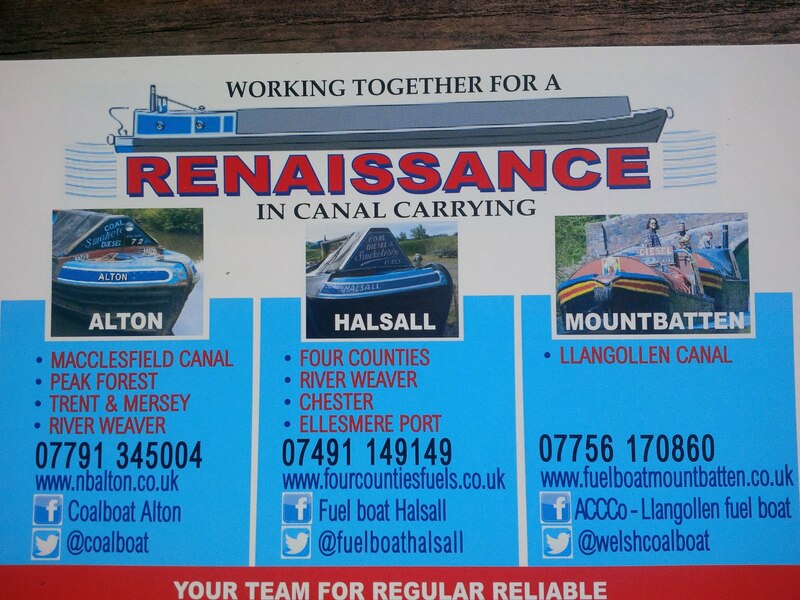 All three boats will be supplying the same fuels, ropes, fenders & other goods at the same competitive prices, we're had a great reaction from new & existing customers to ‎the new boats & are in the process of setting up new websites for them. Please note the above schedules are our plan, but this is subject to change due to weather, traffic,customer volumes, good pubs,stoppages or other factors outside our control. During the Autumn & Winter months, at times we struggle to stock sufficient fuels tomeet ad-hoc demand, so to ensure a delivery please pre-order with a text or call, for ALTON (Macclesfield & Peak Forest) use 07791 345004, for Halsall (Four Counties Ring, Shroppie, T&M and Weaver) use 07491 149149 and for Mountbatten (Llangollen Canal) use 07756 170860.